Stairs and Elevator are located back by the Parts Dept. Membership is open to Corvette owners and enthusiasts. Come to a club meeting or attend one of our events. Regular meetings are held at 6:30 pm on the 2nd Tuesday of each month. Our meetings are held at 3-Way Chevrolet 4501 Wible Rd. (99 and White Lane), Bakersfield, CA. 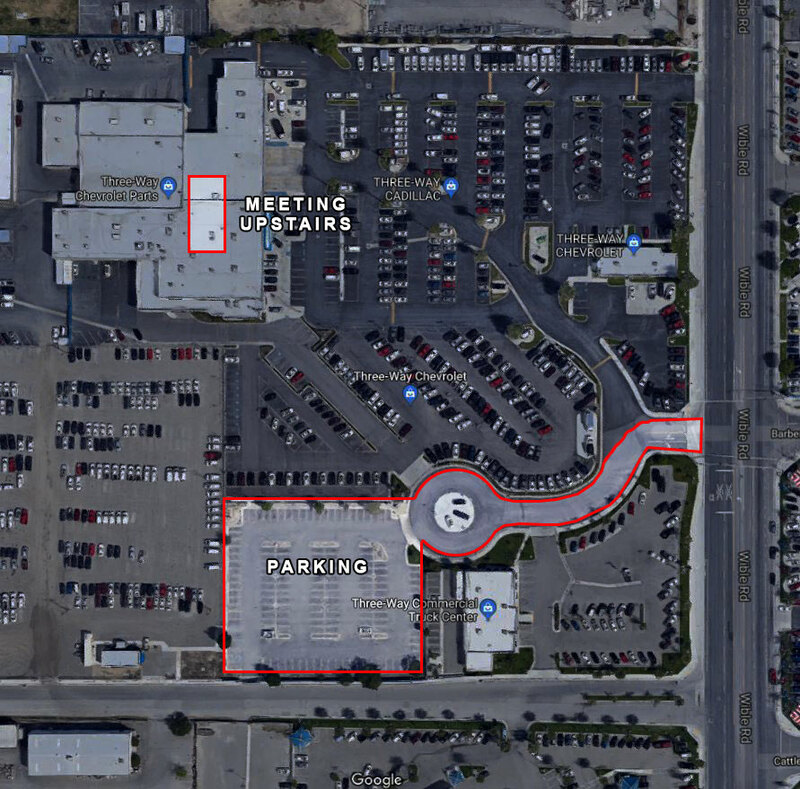 Reminder… for those who drive their Corvettes to the meeting we will be parking along the curb at the entrance to Three-Way’s employee lot. If you are driving something other then a Corvette please park in Three-Way’s employee lot behind the Commercial Truck Center ( the old C&R Motors).